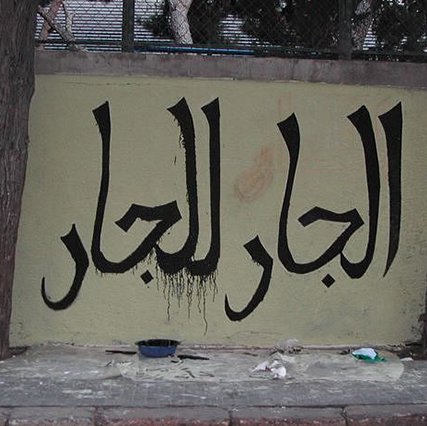 The American University of Beirut (AUB) is an institution of higher learning founded to provide excellence in education, to participate in the advancement of knowledge through research, and to serve the peoples of the Middle East and beyond. Chartered in New York State in 1863, the university bases its educational philosophy, standards, and practices on the American liberal arts model of higher education. The university believes deeply in and encourages freedom of thought and expression and seeks to foster tolerance and respect for diversity and dialogue.Graduates will be individuals committed to creative and critical thinking, life-long learning, personal integrity, civic responsibility, and leadership. The World At Our Fingertips At the heart of AUB’s liberal arts mission are the University’s libraries, which receive more than 1.5 million students, faculty, and visitors per year. 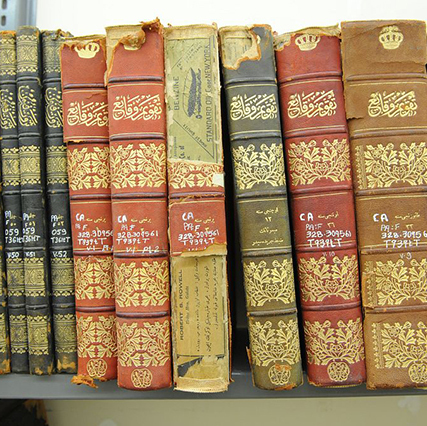 In addition to nearly half a million print volumes and more than 350,000 electronic titles, the AUB Libraries boast extraordinary collections of photos, posters, maps, and historical documents, including 1,400 manuscripts dating back to the Abbasids and Mamluks. World-class Research Facilities What began in the early 20th century as a handful of Engineering courses in the Faculty of Arts and Sciences has since grown into one of the busiest and most competitive programs in the world. Today, the Faculty of Engineering and Architecture boasts seven departments and more than 30 cutting-edge laboratories, including a Graphic Design Lab, a Robotics lab, and a Drilling Mud lab. 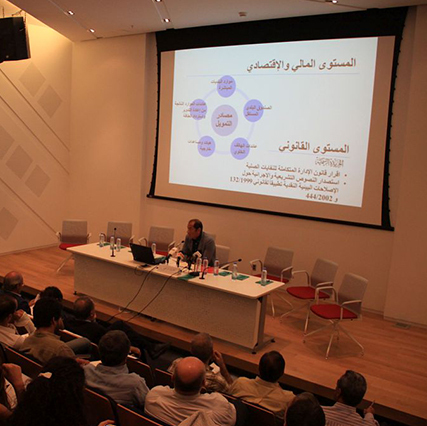 Research for the Public Good Since its establishment in 2006, The Issam Fares Institute for Public Policy and International Affairs (IFI) has established itself as the leading academic think tank in the Arab world, producing knowledge in the region, for the region. Through its research on topics ranging from climate change to the refugee crisis, IFI seeks to influence policy-making surrounding the most critical issues of the day. 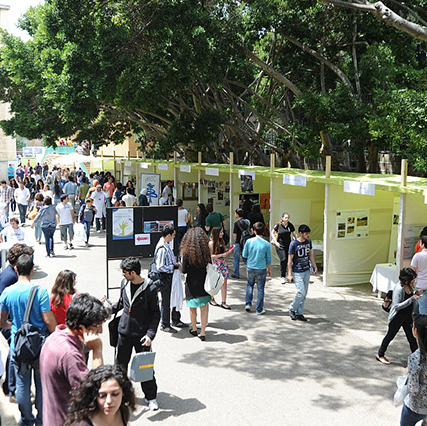 Achievements in Research AUB is the undisputed leader in research in the country. In fact, according to the 2015 QS World Rankings by Region, AUB’s research output is more than all other Lebanese universities combined, and its impact is far-reaching. In 2013, for example, an interdisciplinary team from AUB was awarded over $2 million from the US government to study the effects of e-cigarettes on health. 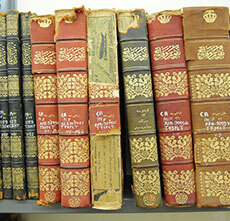 AUBMC: The “Humanitarian Arm” of the University During the 20th century, there were numerous opportunities for the University hospital to make its humanitarian mark. During World Wars I and II, for example, AUB’s doctors, nurses, and medical students provided invaluable aid to the wounded. This spirit endures today. In 2014, the head of AUBMC’s Division of Plastic Surgery, Dr. Ghassan Abu Sitta, volunteered to operate on injured men, women, and children in Gaza. 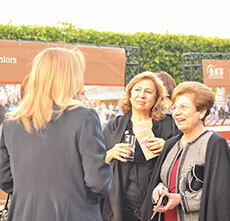 Beyond Our Walls For the past 40 years, AUB’s Regional External Programs have helped marshal academic and staff expertise to serve the people of this region. Among their many accomplishments, REP has helped to establish new universities in countries such as Sudan, Oman, and the Emirate of Sharjah. 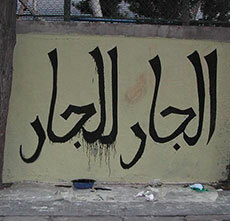 In the Neighborhood For over 150 years, the histories of AUB and Ras Beirut have been intertwined. In 2006, the Neighborhood Initiative was founded to reach out into the area surrounding the campus. It has since launched numerous innovative programs, which capitalize on University resources and expertise for the good of our broader community. 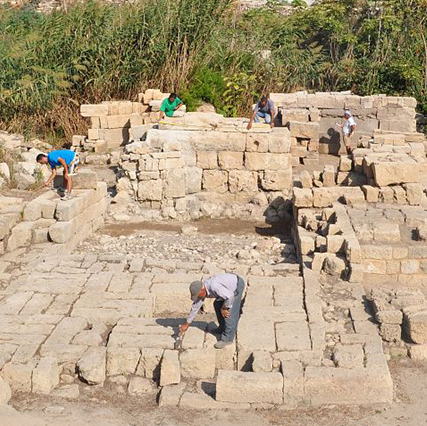 Preserving our National Heritage Across the University, numerous initiatives are dedicated to the important work of safeguarding Lebanon’s rich heritage. 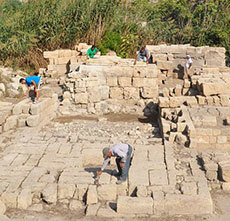 From Professor Leila Badre’s discovery of the first major intact Phoenician temple in Tyre to the donation of over 60 paintings to AUB by renowned Lebanese artists of the modern era, the country’s greatest treasures will be protected for the enjoyment and edification of generations to come. 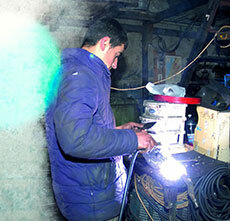 Impacting Lebanese Society In 1997, Iman Nuwayhid embarked on a long-term research project documenting the effects of poor child labor conditions in Lebanon. 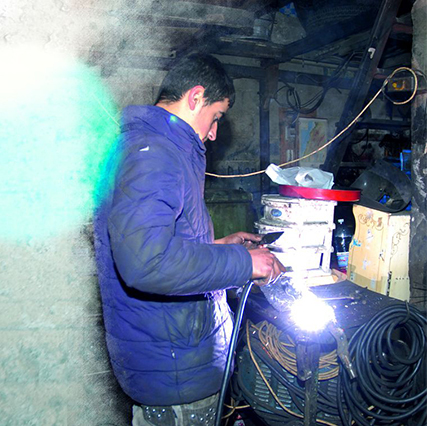 In 2012, thanks to Nuwayhid’s findings and the concerted efforts of the Outreach and Practice Unit in the Faculty of Health Sciences, Lebanon passed Decree 8987, banning children under 18 from working in hazardous environments. 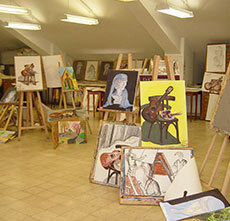 Nurturing the Arts During the forty years of its existence (1935-1976), the Fine Arts Program at AUB was home to some of the brightest names in painting and sculpture in the Arab world. 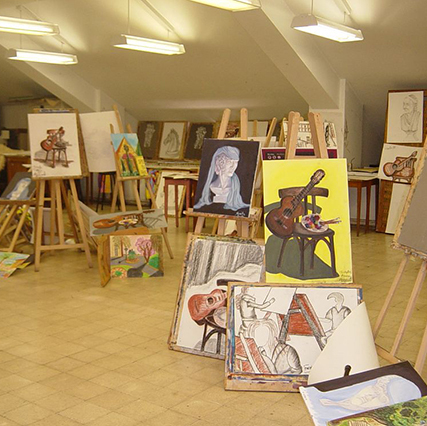 Today, the Department of Fine Arts and Art History offers programs in Fine Arts, Art History, Music, and Theater. In 2012, AUB’s renewed commitment to the arts was rewarded when the University was able to use one of its two new art galleries to exhibit a remarkable collection of works by major Lebanese artists, including preeminent Modern Lebanese painter Khalil Saleeby. Encouraging Collaboration One of the keys to a liberal arts education, interdisciplinary study fosters creativity, innovation, and openness to new ideas. 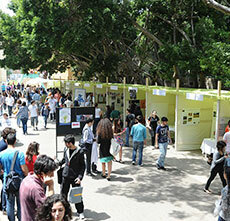 AUB is home to more than 25 interdisciplinary research centers that bring together faculty from diverse fields, including the Nature Conservation Center, the Center for Advanced Mathematical Sciences, the Center for Civic Engagement and Community Service, the Center for Arab and Middle Eastern Studies, the Anis Makdisi Program in Literature, and many others. Maintaining the Highest Standards AUB is accredited by the Middle States Commission on Higher Education, and most of the University’s faculties have been recognized by official accrediting bodies in the US. Most recently, the Nutrition and Dietetics Coordinated Program in the Faculty of Agriculture and Food Sciences received accreditation, becoming the third program in this field to be accredited outside the US and the only one in the Middle East. Having a Voice At its height from the late 1960s to the mid-1970s, Speaker’s Corner, located in front of West Hall, served as a locus of free speech on some of the most pressing issues of the day. Like its namesake in London’s Hyde Park, the existence of such a venue encouraged students to engage in the civil exchange of ideas and to give voice to their beliefs and opinions without fear of reprisal. 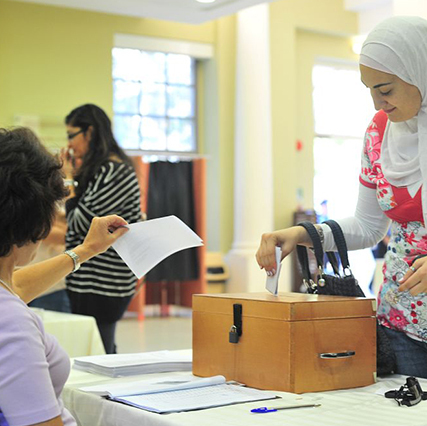 Democracy in Action Since 1949, AUB has encouraged its students to participate in the democratic process through student elections, with a focus on open and frank debate of substantive student issues. 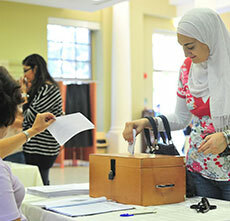 The vast majority of the student body votes in these elections each year, which have been held on campus without incident even when tense political climates have prevailed in Lebanon. 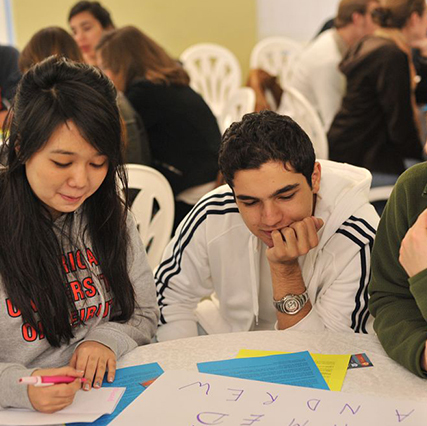 Learning from One Another AUB was founded on the premise of openness and respect for diversity, and today the student body welcomes international students from over 75 countries. Among many initiatives undertaken over the years, in the 1970s AUB welcomed hundreds of students from the Maldives on USAID scholarships who went on to become leaders and innovators in their home country. More recently, the MEPI and USP Scholars programs, funded by USAID, bring students to AUB from across the region and around the world. 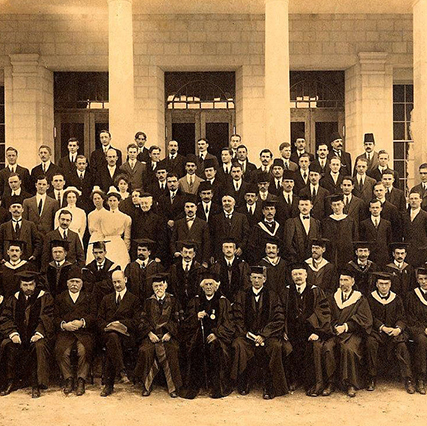 Promoting Gender Equality AUB’s earliest female students were the nurses in training at the School of Nursing, founded in 1905. In 1921, the University became coeducational, some fifty years before Ivy League universities in the United States opened their doors to women. 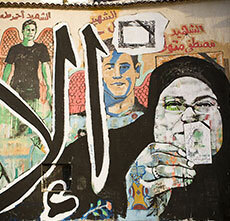 For the past three decades female students have comprised at least half of the student population. 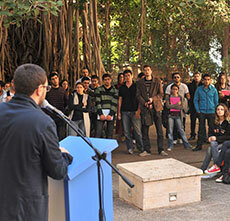 An Active Student Body The AUB campus is a dynamic and engaged community where students of all stripes participate in a wide range of social, academic, cultural, and political organizations. From the Secular Club, Red Cross Club, and Women’s Rights Club, to groups that celebrate a shared love of football, Hip Hop, Dabkeh, and Organic Chemistry, there is never any shortage of ways for students to channel their energies when they aren’t in class. 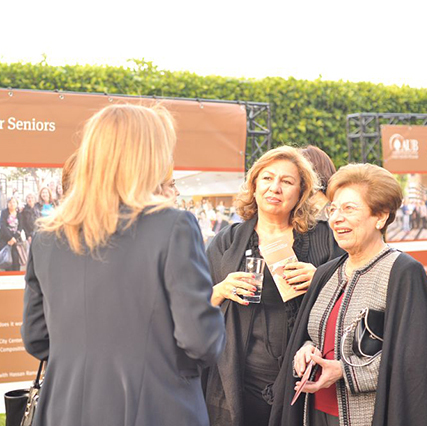 Lifelong Learning The only program of its kind in the region, the University for Seniors was launched in 2010 in response to a growing need to provide older adults in Beirut with dynamic opportunities to continue broadening their educational and cultural horizons. Through lecture series, study groups, travel programs, and more, members have engaged with topics as diverse as Arabic comics, the Syrian crisis, media literacy, and healthy aging. 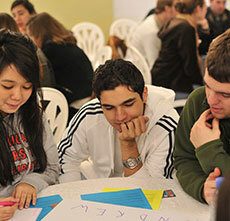 Making a Difference An AUB education goes beyond academics to emphasize the importance of engaging with the community, particularly those most affected by the many political and economic challenges affecting the Arab world. 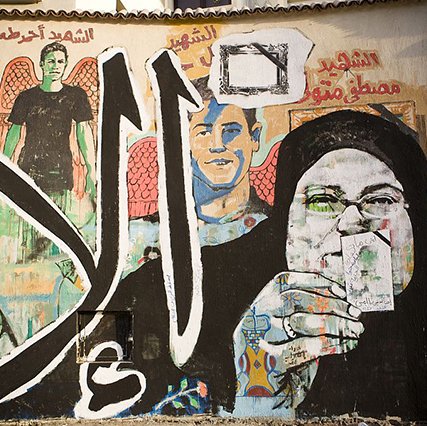 The multidisciplinary Center for Civic Engagement promotes a culture of service and civic leadership by providing opportunities for faculty and students to study and respond to pivotal social issues in Lebanon and the region. 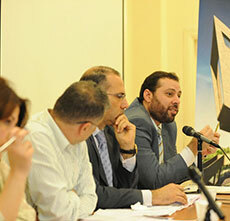 Strengthening Civil Society From its very origins, AUB has sought to graduate empowered citizens. 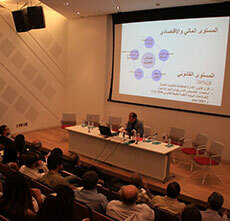 The Asfari Institute for Civil Society and Citizenship, founded in 2012, builds on AUB’s 150-year tradition of enhancing civil society and developing an informed citizenry. 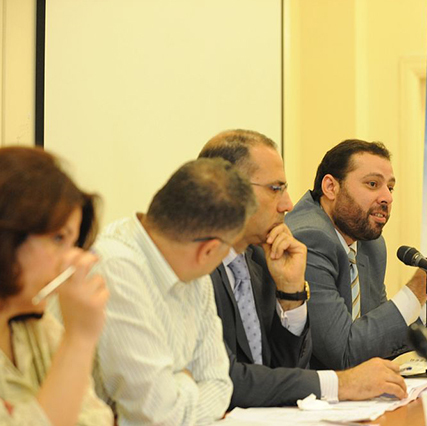 By promoting open dialogue and freedom of expression, the Institute advocates for transparency and accountability across the Arab world. 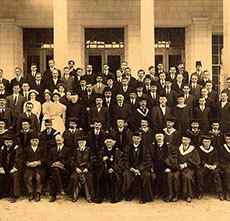 Promoting Responsibility For 150 years, many of the University’s graduates have gone on to become titans of industry. 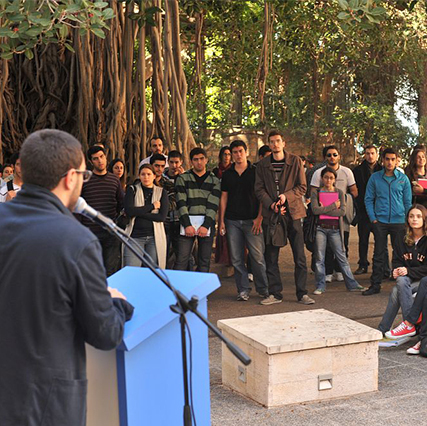 By making Corporate Social Responsibility a cornerstone of all its undergraduate and graduate degrees, AUB’s Olayan School of Business ensures that the future business leaders of Lebanon and the Arab world are motivated and equipped to make ethical and moral choices that benefit their employees, the wider community, and the environment.